India’s very own Priyanka Chopra has been a trailblazer in every sense of the word. From thrilling audiences with her performances in her Indian films, to capturing hearts in America, to being a global philanthropic icon, the actress is loved the world over. Not only are stills and photos seen for her film work as well as Quantico, images of Priyanka attending the Royal Wedding were splashed across social media, plus her visit to the Rohingya refugee camps went on to make headlines. Now she has become the Social Media Queen. 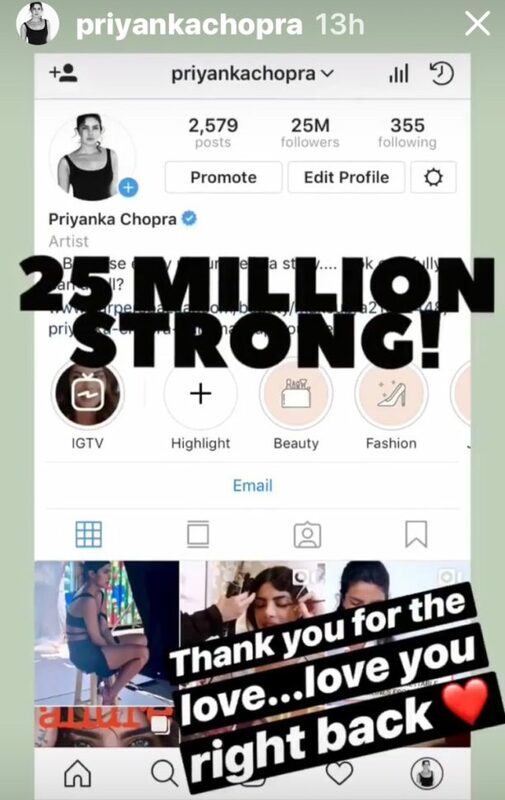 Priyanka Chopra recently passed her contemporaries to become the highest followed Instagram star in the Hindi Film Industry, crossing the 25 million mark. This is close on the heels of her emerging on the top spot on the Score Trends India chart. She also boasts 23 million followers on Twitter! On the acting front, Priyanka will next be seen opposite Salman Khan in Ali Abbas Zafar’s Bharat. Interestingly the actress will play a character that will age from 28 to 60.